For some reason my 2 year old is having a hard time learning her colors. Being the girly-girl princess she is she has pink and purple down, but the rest … not so much. 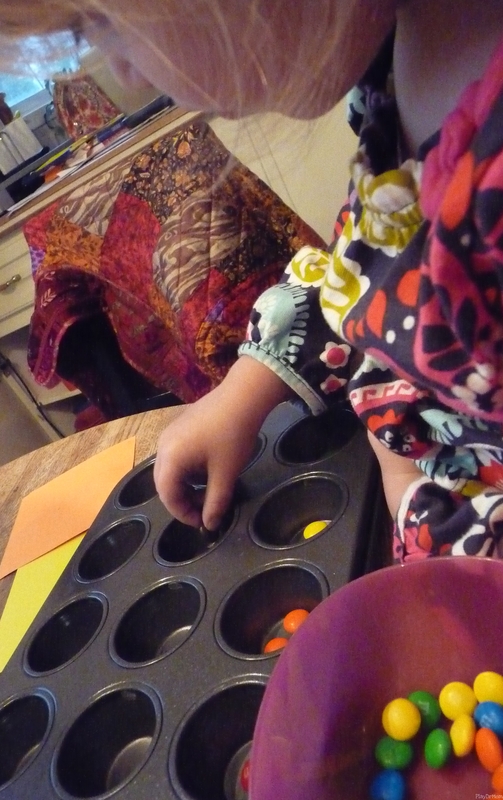 I saw this post (sweetie sort) a bit ago and thought with all the leftover Halloween candy around, we’d give it a try and make sure she can at least differentiate colors. 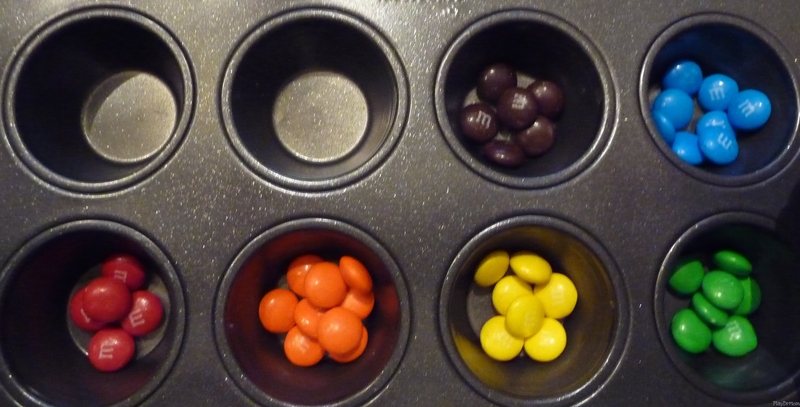 I used a mini muffin tin and started off with one of each color in its own spot with the rest of the package in a bowl. I demonstrated to her what I wanted her to do … and she was good to go! Follow Laura Hutchison’s board Playful Learning: Colors on Pinterest. 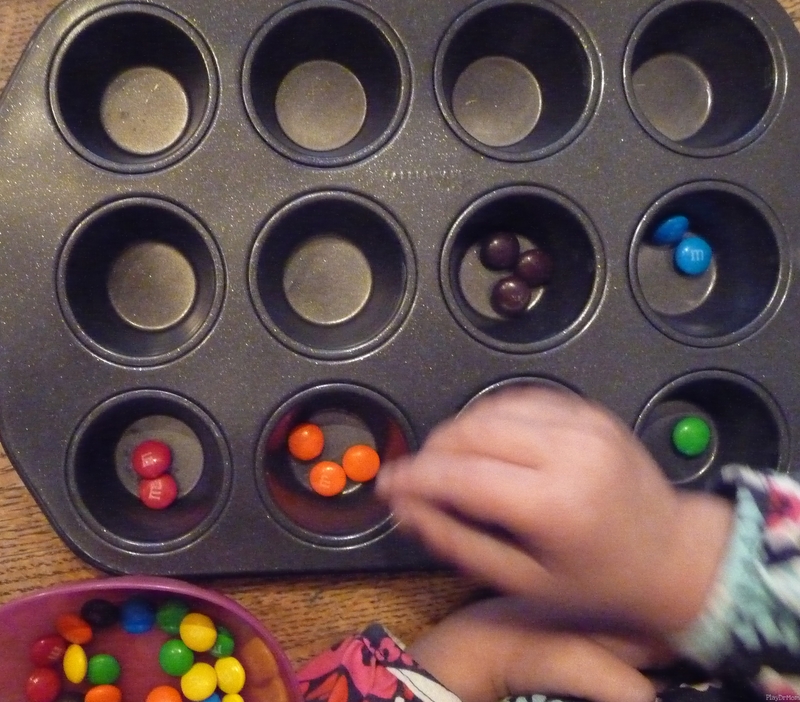 Thank you for linking to us at rainy day mum – I love the idea of using a muffin tin to do the sorting and glad that it worked. We had the same problem with the candies being eatten as well. such a fun activity for kids! Thanks for sharing at Mom’s Library. I am featuring it on iGameMom.